We know you love your dog and you feel guilty everyday when you have to leave them home alone. We’re offering you an alternative to all that guilt! 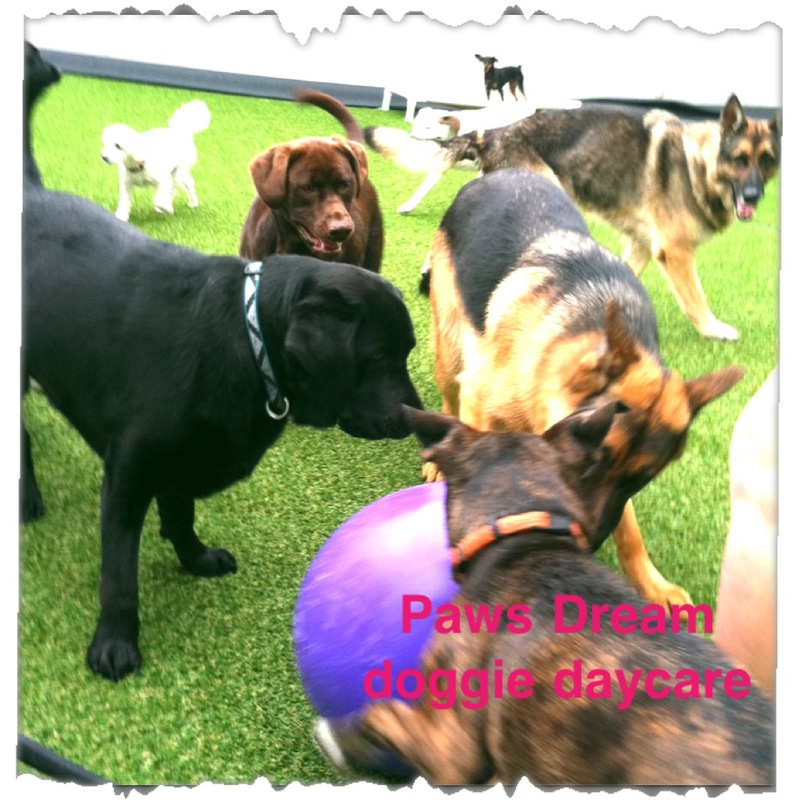 At Paws Dream Doggie Daycare we will give your dog hands-on loving care when you can’t. Many dogs experience separation anxiety if they have to be alone all day. They may destroy furniture, bark non-stop or have accidents. Paws Dream Doggie Daycare will allow you to finally have guilt free workdays. You will notice your dog will be very relaxed & happy after a day of playing in our indoor/outdoor play area. Your dog will be able to wrestle around with other dogs on our indoor padded rubber flooring or outside on our plush Astro Turfed surface, to get rid of all that pent-up energy, and will be happy just snuggling with you on the couch when they return home! We know that they need their rest as well, so be assured they will lay down and get some individual pampered time. We have doggie cots all around so that they can take a rest at their leisure. The most beneficial part of dog daycare is that dogs will learn how to socialize with one another. The end result of course being a well-rounded dog that will interact well with their peers & humans! 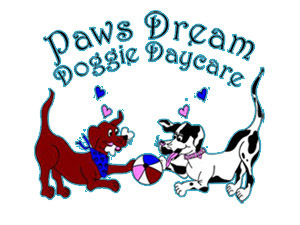 How does your doggie become a Paws Dream Doggie? We are so happy you asked! We love meeting new Paws Dream family members!